Be there when the Torah is given for the 3,325th time. Come hear the Torah reading of the Ten Commandments. Followed by a Delicious Dairy Buffet Lunch and lots of ice cream for the children! 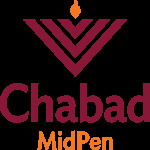 Please consider donating to Chabad MidPen to help offset the cost of the meal.